New Laser machine arrived on Tuesday!!! I’m jumping from joy as this is one serious pieces of equipment! My 50W eBay laser looks like a tricycle comparing to this monster. While it has same 60W tube (I’ve upgraded my eBay laser a while back), Boss Laser has much large cutting better and better overall build. This is Generation 5 LS-1630, which from what I’m hearing was designed from ground up by Boss Laser company. Comes with full one year US support too! It’s been couple of days since I took that video. Since then I was able to hook up and fire machine and even do some test cutting. Autofocus feature is simply amazing. I did have to adjust it slightly for thicker materials like 1/4″ acrylic. Movements are fast and precise… Unfortunately I had one serious issue. For some reason CO2 tube sometimes fires at very low power and makes a hissing noise. Yes it’s has SAME exact symptoms as what I experience when I used car antifreeze in my old laser machine! But difference is that I’m not doing it now, so cause must be something else. I’ve contacted Boss Laser support and they walked me thru some troubleshooting steps, during which I learned even more about this machine. First of all that huge green resistor you see in the video, is for testing power supply. It’s hooked up instead of CO2 tube, and draws about 32mA when PSU is firing. Cool! Second thing that I found out is that CO2 tube use simple but very easy to unhook clamps for wiring! No more messing with thermal glue paste!!! Anyway, support guy thought there might be an issue with CO2 tube, so I’m getting a replacement. So we’ll see… At this point machine is somewhat usable, I just have to start cutting, interrupt it and restart to get tube to full power. I will post update once I get it. need Boss input on disassembly so warranty isnt voided if you go that route. Wow, great review. 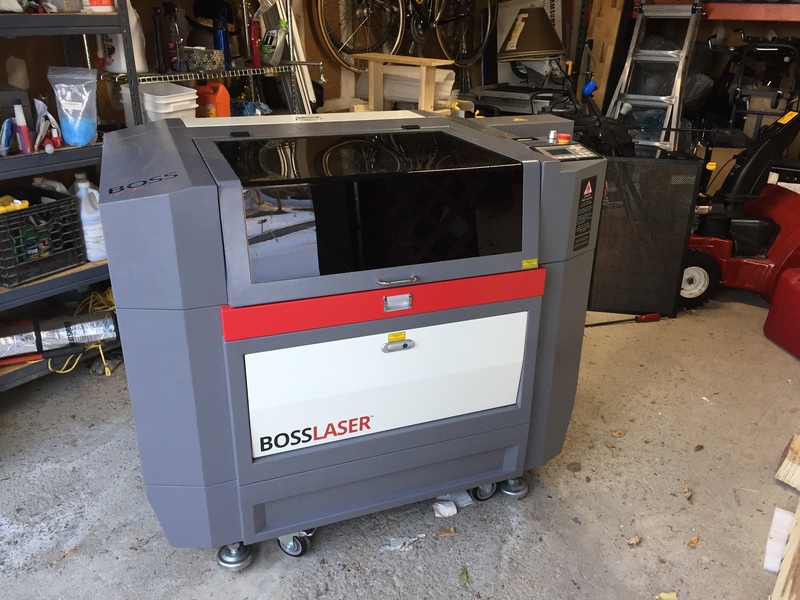 I’ve read a host of great reviews about Boss Laser but your vid is pretty thorough. Main reason I recently bought a 1630 (65w)for my shop is their machine warranty (especially the laser tube) and the price which includes support for LIFE not 1 year. I read a few Camfive reviews on their lasers and found that the warranty is also 1 year but the tube is 30 days? And its a China designed/made machine.